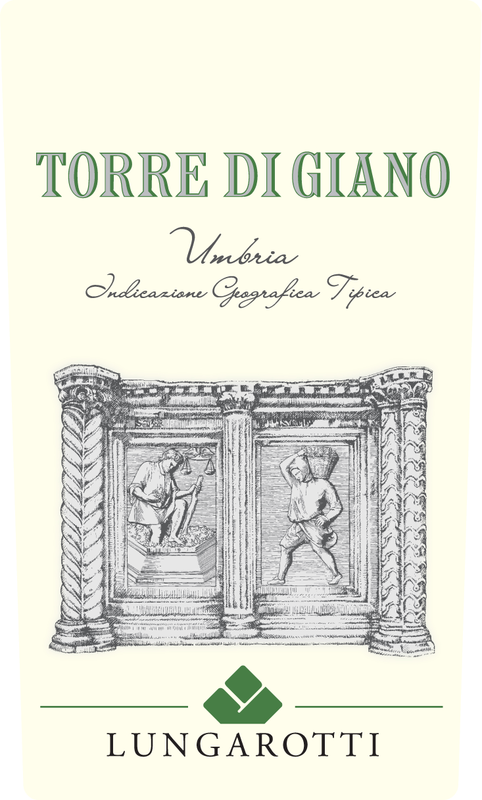 Torre di Giano is made from Vermentino, Trebbiano and Grechetto grapes. This is a fresh white wine, straw-colored with greenish reflections, fruity and long-lasting. It has an intense bouquet that recalls citrus fruit, orange blossoms and fresh fruit; dry and with good structure, it has a fragrant evolution with delicate acidity and a long finish. The name recalls the Roman origins of Torgiano, testified by the tower dedicated to Janus, the double-faced god. On the label is a bas-relief depicting the harvest, a detail from the Fontana Maggiore of Perugia, Italy’s most beautiful 13th century fountain. This wine is made from Trebbiano and Grechetto grapes from the “Il Pino” hillside vineyard. 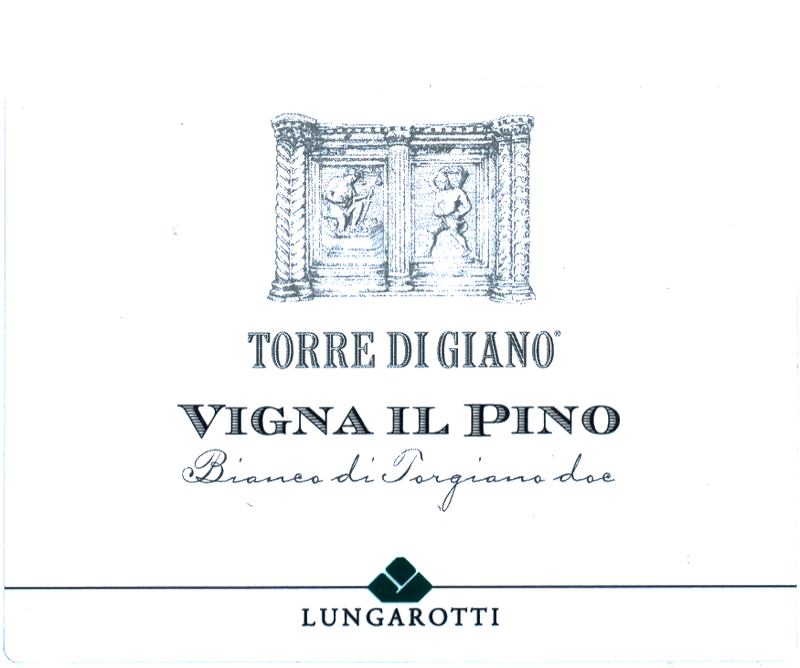 Bianco di Torgiano is a white wine with great structure, balanced and elegant. Straw-yellow in color with good intensity; the bouquet has floral scents and notes of linden, thyme, and acacia flowers, delicate hints of coconut, vanilla and white chocolate; sapid and fragrant flavor with a long finish as well as balanced, refreshing acidity. 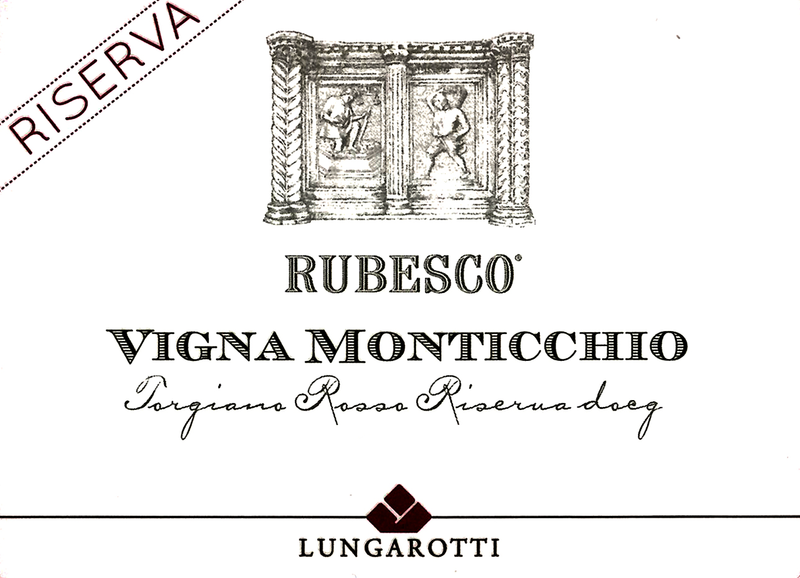 Rubesco Rosso di Torgiano is made from Sangiovese Canaiolo and Colorino grapes. This is a red wine with balanced body and a fine ruby color. Its aromas are typically spicy and consist of pepper and sweet tobacco; the background notes hint at jam and violet. A pleasant drinkability with good concentration, mature and harmonious tannins with a long-lasting fruity finish. This DOC wine has been Lungarotti’s most popular worldwide since 1968. Rubesco is a proprietary brand, derived from the Latin verb rubescere (to blush); hence, a joyous meaning. On the label, a bas-relief depicting the harvest, a detail from the Fontana Maggiore of Perugia, Italy’s most beautiful 13th-century fountain. 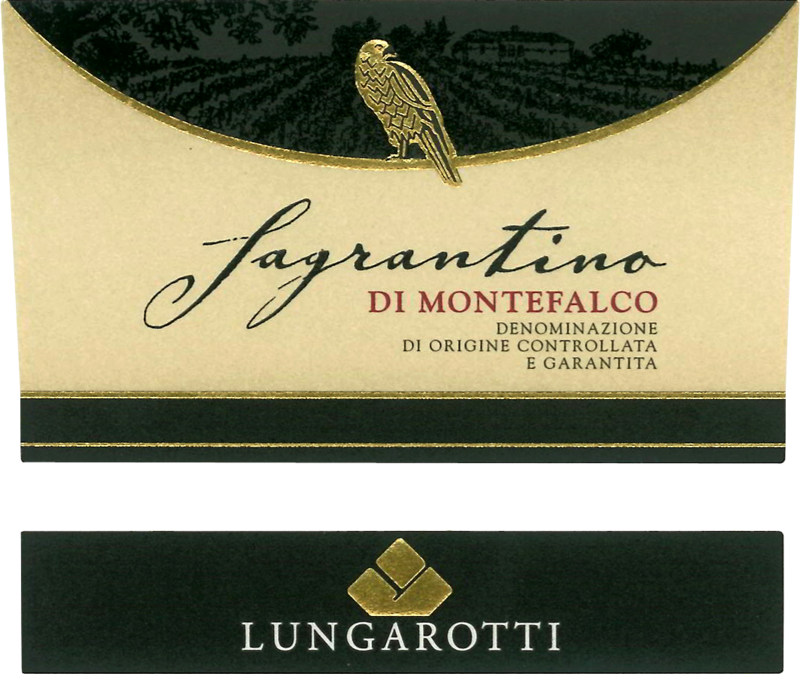 Sagrantino di Montefalco is a red wine with great richness in polyphenols. Deep and intense purple-red, with a complex bouquet of red fruit, marasca cherries, black currents and raspberry with a delicate touch of sweet tobacco and cocoa and officinal herbs. The structure is dense yet balanced with rich tannins and great texture, while the fruitiness is supported by fresh acidity. Sagrantino is one of Umbria’s native and most ancient varietals with features of great polyphenolic complexity: a wild horse that must be understood and “tamed” by the proper grape-growing practices. Like the other Lungarotti wines it speaks a harmonious and balanced language. On the label is a view of the Montefalco winery and in the foreground, a falcon (symbol of the area) where traditionally falcon hunting, the great passion of Emperor Frederick II of Swabia, was practiced. This wine is made from Sangiovese and Canaiolo grapes from the vineyard of Monticchio. This is an elegant wine with solid structure, a deep ruby color and complex aroma that recalls marasca cherries and blackberries, followed by notes of violet, light mentholated hints and a spicy finish. A wine of great concentration, fruity and slightly balsamic, it has soft and velvety tannins with a long, lingering finish. 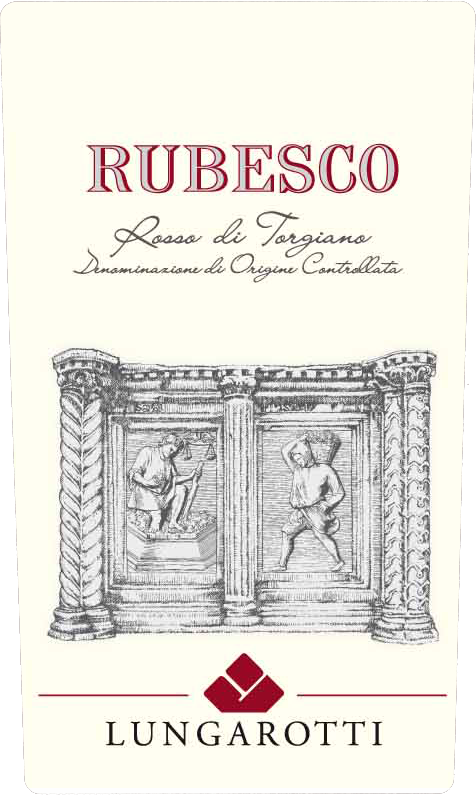 Rubesco Torgiano Rosso Riserva is a DOCG wine since 1990, it is a great classic that in the past few years has acquired renewed vigor that elegantly speaks using its traditional language of balance and harmony. Rubesco is a proprietary trademark deriving from the Latin verb rubescere (to blush), hence a joyous meaning. On the label, a bas-relief depicting the harvest, a detail from the Fontana Maggiore of Perugia, Italy’s most beautiful 13th-century fountain.